Looking for a good gift for friends or family that already seem to have all the tangible gifts they could want? Or, are you searching for some Tucson holiday activities to do with loved ones over the holiday season? Think about buying tickets, passes, or memberships to different parks, centers, and theaters, or spending time with family and friends doing something a little bit different for your holiday season. There are tons of places to go for recreational Tuscon holiday activities and events right here. So, there is a little something for everyone. Give the gift of doing this holiday season. Check out a few of these cool Tuscon holiday activities, experiences and places for your holiday fun. 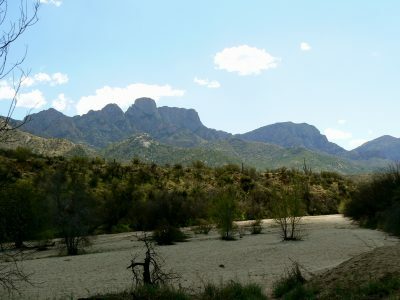 There are several state parks in the Tucson area: Catalina State Park, Picacho Peak State Park, Kartchner Caverns State Park, Oracle State Park – just to name a few. Enjoy the nature wonderland of Arizona! You can even purchase an Arizona State Parks annual pass to let the fun continue all year round. Nature lovers may also enjoy the Tucson Botanical Gardens in the center of the city. They feature different events throughout the holiday season, including the Luminaria Nights, occurring again this coming weekend (December 7-9th). You can also purchase passes to visit the Gardens throughout the year and experience the natural, tropical oasis. There are also a few more adventurous outdoorsy options in Tucson, from rock climbing at Rocks and Ropes to zip lining off Mount Lemmon. Searching for a holy night with the stars brightly shining? Check out Arizona’s Mount Lemmon SkyCenter for stargazing and astronomy. They’ll show you views of planets, nebulae, and the galaxies through UA telescopes. The Science Center and Mineral Museum also have planetarium shows. There are some other great places to go with the family and kids this holiday season! Check out Tucson’s indoor go-karting facility: Autobahn Indoor Speedway race. There is also the Get Air Trampoline Park to bounce your way through the holiday season. These are great places to take the kids to have some fun and let out some energy. Looking for something a little more low-key? The ever-popular Escape Rooms are available in different areas of Tucson. Check out the Ace of Escape, Down the Rabbit Hole, or Fox in a Box – just to name a few. Create a bonding time for your family over solving the puzzles and working together to escape. There are also shows, theaters, and art museums for the culture lovers in Tucson. Check out the Tucson Symphony Orchestra or the Tucson Museum of Art, for starters. Essentially – there are plenty of Tuscon holiday activities, events, and places to visit throughout the area. Have some fun with your loved ones this holiday season – or purchase a pass or ticket for them to enjoy as a gift. Instead of collecting more objects, collect some memories this holiday season.